Enter your email below to view this book. A lot has been written about employee referral programs. Today, a search engine query will return more information than any single organization can practically put into practice. It’s difficult to know where to start making changes without understanding how a referral program works as a whole. With that in mind, we’ve condensed our own experience of speaking to more than 2,500 talent practitioners over the past seven years and refined the essence of what makes a great referral program into five actionable elements: Objectives, Incentives, Education, Communication, and Technology. While no single incentive structure or referral policy will fit every organization, the guidelines we’ve provided for every element will allow you as a talent acquisition professional to evaluate and enhance your program quickly - bringing it in-line with the world’s best. 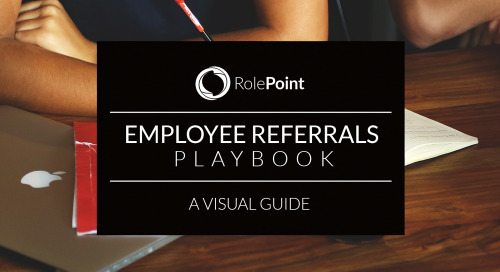 By the end of this book, we hope that you have a high-level understanding of each of the five employee referral program elements and have the tools necessary to put changes into practice. If the phrase ‘Talent Knows Talent’ resonates and you believe employee referrals to be your strongest source-of-hire, this book will help you master how to consistently generate referral program engagement to attract the highest quality talent. Want a physical copy of this book, for free? How Companies Supercharge Their Employee Referral Experience. Want to Double Your Referred Hires?